Following the launch of their SIM-only mobile plans, JB HiFi is offering discounts on phones such as OPPOs Find X and AX5. “Aussie consumers love OPPO for the value we provide in our devices. Flagship features such as our SuperVOOC charging, Stealth Cameras and full screen displays are available at price points we know Aussies will love as much as the phones themselves,” said Michael Tran, Managing Director of OPPO. When customers sign up with JB HiFi, they can purchase the OPPO Find X for $599, or $799 supercharged, which is a saving of $500. The phone features a pop up camera and facial recognition unlock technology. The Find X Supercharged offers OPPOs fast charging system, SuperVOOC and 256GB of onboard storage. JB Hi-Fi customers can get the Find X for $899 on a $45 plan, and the Find X Supercharged for $1099 on a $45 plan. Customers can get the Find X for $599 on a $65 plan and the Find X Supercharged for $799 on a $65 plan. OPPOs R15 and R15 Pro feature a 6.28 inch full screen display, facial recognition technology and 20MP selfie camera and dual rear cameras. The R15 Pro also has a waterproof and dust proof rating of IP67. 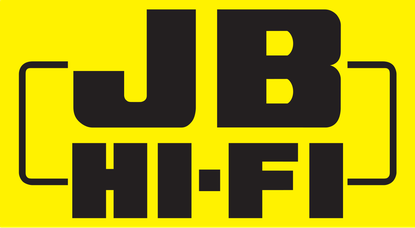 On a $45 plan, JB Hi-Fi customers can get the R15 for $459 and the R15 Pro for $579. On a $65 plan, JB Hi-Fi customers can get the R15 for $359 and the R15 Pro for $479. The AX5 offers AI enhanced cameras that support OPPOs facial recognition technology, a 6.2” full display screen and a 4230mAh battery. JB Hi-Fi customers can get the AX5 for $179 on a $45 plan, or $79 on a $65 plan.